how to track results of informal learning, using an e-portfolio? What issues do you see in supporting Content as a Service (CaaS) with current standards? So the issue is content in its broader sense, and it doesn’t necessarily mean that the content is going to be coming from an LMS; it can come from a content service provider or it can be coming directly from the content provider themselves. And the way that the content gets served up may or may not be through an LMS. I want to make sure that my overall principles here are — that we’re in some kind of an agreement. Not that we have to be, but that’s my point of view. So the issues of security, the transport piece, the run-time, the CMI data model, all become up for grabs, because what we did with the CMI data model and what we did for the run-time was essentially for courseware web-delivered, period, ten years ago. 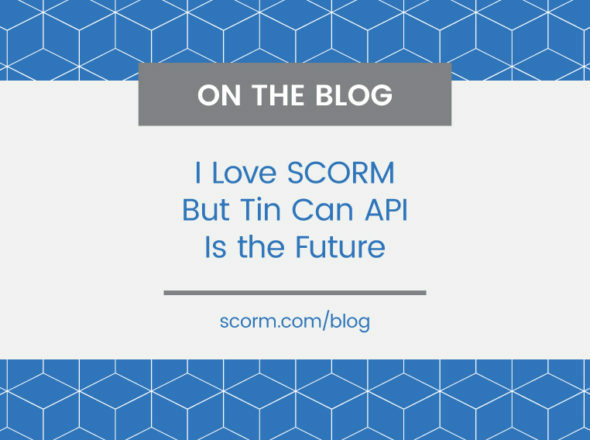 So that’s why Mike and a bunch of us out of the LETSI crowd have been trying to figure out what’s SCORM next? And in some ways we’ve really kind of moved on and I’m thrilled that at least the ADL guys thought enough to have both Mike’s company and guys like you, Ben, to try to take a fresh look. But okay, so back to the CaaS thing — if you agree that the run-time web service piece was an attempt to try to get it different content besides courseware, content as a service has tended to do the same thing. But with the realization that the content can come from a service provider, and that service provider can be somebody who is trying to make a buck or it could be some other site like Open Educational Resource. And so the other issue that we still have to get to, and these things are all kind of strung together — run-time, CMI data model — is the notion of being able to find the stuff and registry, which I’m not sure we’re going to get there with the DOL, or the DOE project, at least that idea of trying to identify where content is no matter what type of content it is, is still part of the problem space, would you agree? Right, I agree. Can you describe the DOE project a bit? That’s the ADL registry project that Dan Rehack and the education guys are doing. And I’m not even sure their approach is going to get us there, because they kind of ruled around all the hard stuff you need to get to. But that’s another issue; you still have to come up with some kind of registry thing to be able to expose this, if that’s possible. It hasn’t up to this point, but maybe there is a way. In the CaaS assumption, it doesn’t matter if you’re a SIFA guy or a Pearson guy or an OER guy, right? And so what we’re trying to do in the CaaS thing is, in one way, say, “Okay, you guys have your own catalog, your own meta-data; I either want to consume it or buy it. You’re going to expose whatever it is, in whatever format it is, and I’m going to make some kind of decision about it, right?” So in one way, I’m not trying to look at the universe, but I am looking at a set of content-providers, and allowing them to be able to let me look at their stuff, order it, buy it, or find it. And that’s a different approach from a registry process, isn’t it? So the registry idea that you would be looking at everything? Exactly. And it may be a community practice of content providers that are loosely connected as opposed to federated. So the difference you see between a registry and what you are describing is that on the registry, the content providers contact that central registry and register what they have available and what you’re looking at with finding content for content as a service now is the idea that you, when you — either the person interested in consuming content, or more likely, a system through which you are consuming that content, has a list of various content providers that, to query, and goes around each of them, runs a search on each of them and pulls the results back to you? Right, and the big idea is, that I’m not trying to, in the federated registry, put everyone through a knot-hole by trying to identify what the meta-data is. Because the meta-data issue’s one generation of it, and number two is the problem you have of domain-specific requirements and getting people to agree. So it’s not that I’m wishing that problem away, I’m going to let those providers decide what that is, based on their domain or whatever. I’m not even going to try to get into that argument. So when you decide to search a provider, you have to put them in your search, there’s some sort of standard protocol to do the search, but we leave some wiggle room as to what the actual meta-data is there, so you can usefully search the meta-data without knowing ahead of time knowing how to define in the protocol what it is? Right, so how is it any different today if I go to an OER type thing, like either MIT or Rice or Brigham Young, etc., how is it I decide to get courseware? You go to a catalog, take a look at the description of it, and take a course? There’s no interaction with me trying to figure out what their meta-data is, or have something look for it, is there? True, but I was picturing a situation where you might — and I guess this doesn’t require very well defined meta-data, maybe just key words, but you’re putting in search terms and you might want to only see the portions of the catalog of the various search terms of the various providers that met your search terms. And to shift this away from an OER, think about Khan mathematics? If you want to do remedial K – 12 math for calculus or algebra, etc, you got to YouTube. And you look at whatever problem you are having and there’s a video there to step you through it. It’s probably the biggest thing now; there’s not a catalog in front of that thing, except there’s a display of math problems to get at. So it’s an example of, let me see, I’m going to specify “Khan video mathematics calculus meta-data” in the registry. So you’re saying, in that case, it’s an argument for not worrying about the meta-data so much as let people put in descriptive text and let search engines worry about it. And it’s working well enough now. Well, I’ve been so — the issue is, I’m not worried about how to find it, but how to consume the stuff. I have to provide it, but more importantly I’m taking that stuff for some reason. Either for my personal use I want to put into a portfolio to say I’ve done those things or I’m going to get a grade out of it. That’s the other twist to this thing; in terms of assessment, and degrees, and things of that sort, I’m also trying to look at informal learning and how people — if you believe there is such a thing as life-long learning, how is it that I find out and take these things, and do I use things like e-portfolios to document what I’ve done, so I have some sort of evidence. And so the information that goes into an e-portfolio may not be a grade, or certificate from an LMS, it may be a project or some other competency that got derived that I displayed in the e-portfolio. Exactly. So there is this information and entitlements that comes from the content provider that goes to some kind of a system, not necessarily an LMS or admin, and I’m not a user, but there’s something that ought to come back to the LMS, to the student or learner, independent of the system of accountability. So, all of that is kind of okay, what you’d like to try to do, but when you try to get down to execute this thing, this is where I got into this conversation,and there’s more of this I want to talk about — is the CMI data model. The one I’m thinking about is both the AICC, CMI 5, and it’s not like the IEEE didn’t have a mechanism to have additional data posted out from the content provider in this use-case, and it’s called extensions. So you have the idea of extensions to the CMI data model. The problem is that nobody’s implementing. And of course that’s one of the things that if you’re going to talk about maybe a different approach to sequencing and the meta-data required and the data passed back and forth between them, an extension model with a binding could potentially be a solution to that. We’ve yet to figure out sequencing, have we? So that’s part of the LETSI orchestration work. There’s two issues you have to deal with here; one is the entitlement token, and there’s security issues and how that gets handled and what format. The second one is an optional piece for extensions so a domain could in fact transmit the type of meta-data to make it work. Or to ask for stuff and return, right? It’s a two-way street. An extension mechanism. I’m going to send you stuff and then ask you to send some stuff back to me. So I send you the entitlement to take the course, you’ve taken it, and someone has to send that information back, whether it comes from us or the LMS. It could happen from both places, right? Doesn’t necessarily have to come from the LMS? It could, but what you’re talking about sending back is tracking data, right? Not only the tracking data, but I’ve sold you something so how many seats do you have left? How much have I used of it? I guess that wasn’t — I haven’t thought a lot about how an entitlement token would work, but when I’ve talked about CaaS before, and when I’ve looked on the Wiki, I just assumed an entitlement token would be at the level of registration and would there uld be some negotiation directly before content was consumed to get a one-use entitlement token. Yes, and we’ve coined that one token, because a token is a very specific technical term, but the idea is that it’s a two-way street. Something going from the provider, and something coming back from the admin or the LMS, that’s giving you some status besides the performance data, etc. But that’s a discussion that’s within the CaaS issue, but I think it’s a valid point. How it gets done is another issue. I guess this is coming down to how it gets done; but I was seeing these as two separate problems: getting the entitlement to launch in the first place to experience content and once you have that, I guess there might be something you need to report back to whoever requested that token in the first place, to say it has been used. Because the buyer of this thing either is going to have to renegotiate another contract to put more money against it, etc., or he’s got reports he wants anyhow. And all it is is a service, not anything big, right? No different than the performance data coming back. But the point is, that you can think of use-cases where it’s not an LMS or content provider, necessarily where that content and the exchange is going back, so this notion of a two-way for entitlements is part of the discussion we’ve been having in the wiki in the past couple weeks. 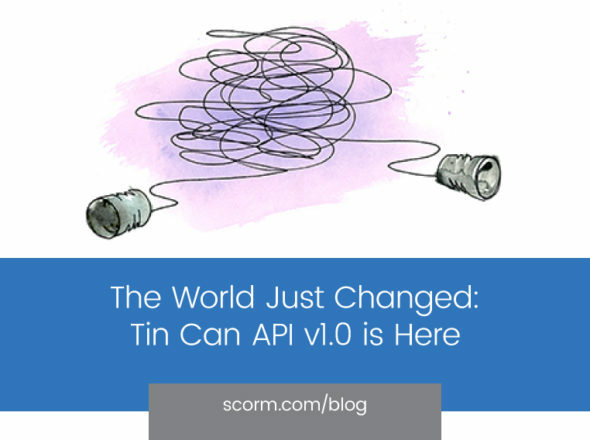 Those problem spaces of the entitlement piece and the extension, and how we go forward with that really needs to be thought about, that these approaches are fundamental issues associated with SCORM in terms of the CMI data model, and the run-time and the LOM. Those are the fundamental building blocks that you either adjust or move — our experience tells us that they probably need to be changed given our experience with RTWS, and the idea that it’s not just courseware you are talking about. I think the issues we’re talking about on the CMI extension not only apply to the CaaS but to the future of RTWS. Yes, because with RTWS any change to the CMI you would think it should be reflected in that. It’s made to be a piece of it. Think about the idea about team play and how that data is tracked — we know how to do individual, but team performance? Your point is that it’s not a matter of just changing that data model we’re passing, but now that we’ve got that team-based stuff, there’s probably going to be different calls as well. Absolutely. Our efforts were initially towards team data, not individual. And the idea was before we go into a team exercise in a game, we’re going to make sure that your individual skills are right, and if they aren’t we’ll remediate. So we were going to check you were red, amber, or green before we put you in a team exercise. And part of this, in the simulators came out of work we did with Stottler Henke to take real simulator data and transfer it through using the RTWS. This was three years ago. And then the other piece with a team was that I come into a foyer, because it’s an unscheduled event, and I may be teaming with an aviator on an aircraft carrier, an Air Force guy on the ground in Afghanistan, and maybe a third person, and you do all this virtually on the simulator. So you go into something like Ambush, which was the VBN game, and I’m going to now participate in an exercise where I’m a forward air observer in the middle of a conflict. I’m going to call for fire from an F-16. And the guy comes in and bombs it, and we do an AAR. That’s an example of a team exercise. The one that Nina had with the Hazmat guys is the same sort of thing. So there’s not only the scheduling of the event, but it’s the performance within it, and the after-action review of that information on the playback. That was all part of the original RTWS work that we demoed together originally. So see how much further we’ve come in three years? Still struggling with exchange in information, how that gets stored, where it is. There’s a limit to what you can do with web-services and moving that information around. So that the scope has been cut out of RTWS, and we’re back to individual learners for RTWS itself. The fundamental building blocks in terms of the data model, the transport model, and all that is still there, it still has to extend and scale-up, right? The run-time, the use of web services was the first building block, so does that apply with individuals, that’s the first one. Then there’s the assessment data that comes back from it out of the data model is going to be a different set of data than what we got out of the courseware. I mean, you know the tons of information and assessment you get out of games. How do you transmit, how does it get to it, and all the rest of it. It isn’t going to flow to a web service call.